65 billion year old fossil - Ammonite. 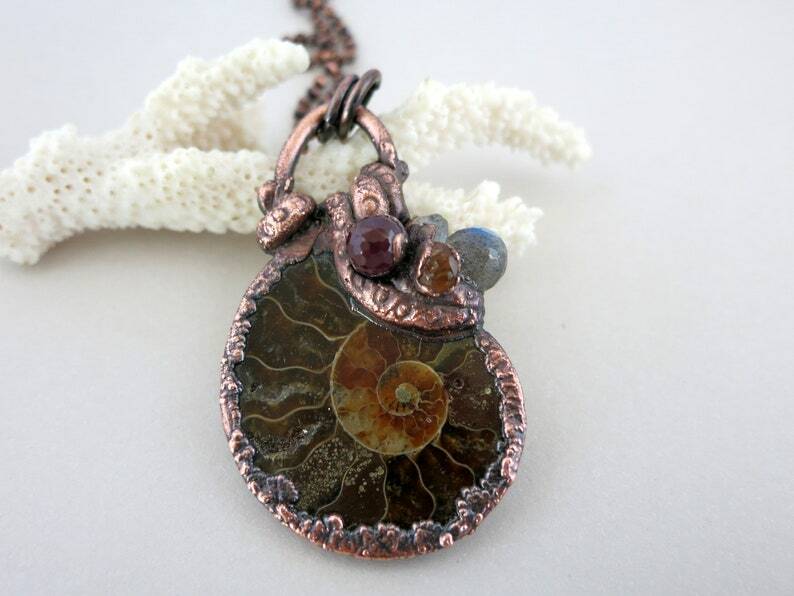 Encased in copper, with a bouquet of gemstones. You will receive this exact, one of a kind necklace. Sculpted and electroformed in a process that involves many steps and several days to complete each unique piece.